One of the biggest factors in adult tooth loss, chronic inflammatory health issues, and more is the presence of gum disease. The condition not only erodes your supportive gums and jawbone structure, but also leads to unchecked inflammation in your periodontal tissues and ligaments. However, there are also several factors in the formation of gum disease itself, and understanding them can help you avoid the potential dangers associated with it. 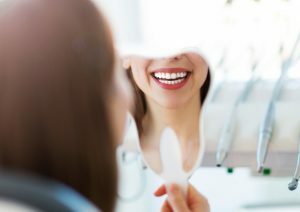 At our Encinitas/San Diego periodontal office, we can help you recognize what factors are most prominent to your periodontal health, and how you can mitigate them to protect your smile. The building blocks of plaque and tartar – oral bacteria – are also the driving causes behind gum disease, as well as most other chronic oral health issues, like cavities. Therefore, the presence of excess amounts of bacteria on and underneath your gums is one of the biggest factors in gum disease development. Oral bacteria accumulate excessively when you fail to brush and floss your teeth and gum line every day. Also, small spots of plaque might calcify into tartar, and if you skip a professional dental cleaning, the bacteria within it have a greater chance of infecting your gums. While you might take excellent care to keep oral bacteria at bay, you may also increase your risks of gum disease development with unhealthy habits such as smoking or chewing tobacco. The thousands of harmful chemicals found in tobacco and tobacco smoke can wreak havoc with your healthy oral and periodontal tissues. In addition to being one of the leading factors in oral cancer development, smoking and chewing tobacco can also become one of the most dominant factors in your risks of gum disease. One of most common ways for gum disease to develop is for patients to neglect to visit their dentist or oral health specialists as regularly as recommended. For example, routine dental checkups and cleanings are the only way to effectively control plaque and tartar regularly enough to prevent it from infecting your gums. If you have gingivitis, the earliest stage of gum disease, then neglecting to seek periodontal cleaning and maintenance can give it enough time to become a much more severe problem. There are many potential factors in gum disease development, and by understanding them all, you have a greater chance of preventing it. For more information, schedule a consultation with Dr. Kania by calling her periodontal office in Encinitas/San Diego, CA, at (760) 642-0711.